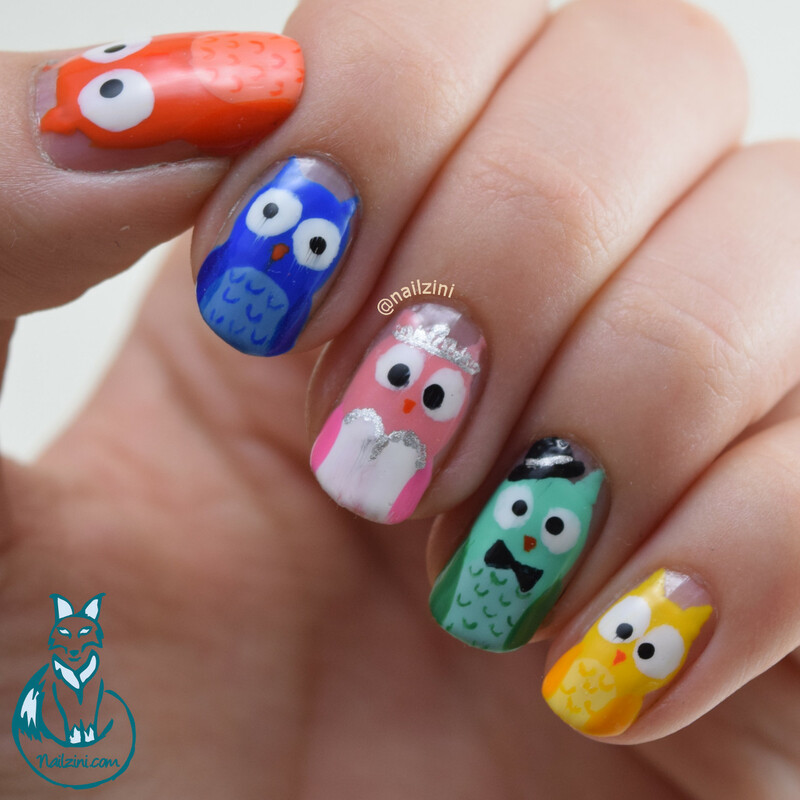 I don't think I've ever used this many polishes in one mani before, 17 different nail polishes where used to create the little owls!!! It was a nice way too use some forgotten colors that had been sitting in my closet for too long. In case anybody wants to find a color read on, if you don't want a ramble about which polishes I used feel free to skip this part and enjoy the tutorial! All the white was done with " hip hip hue-ray!" 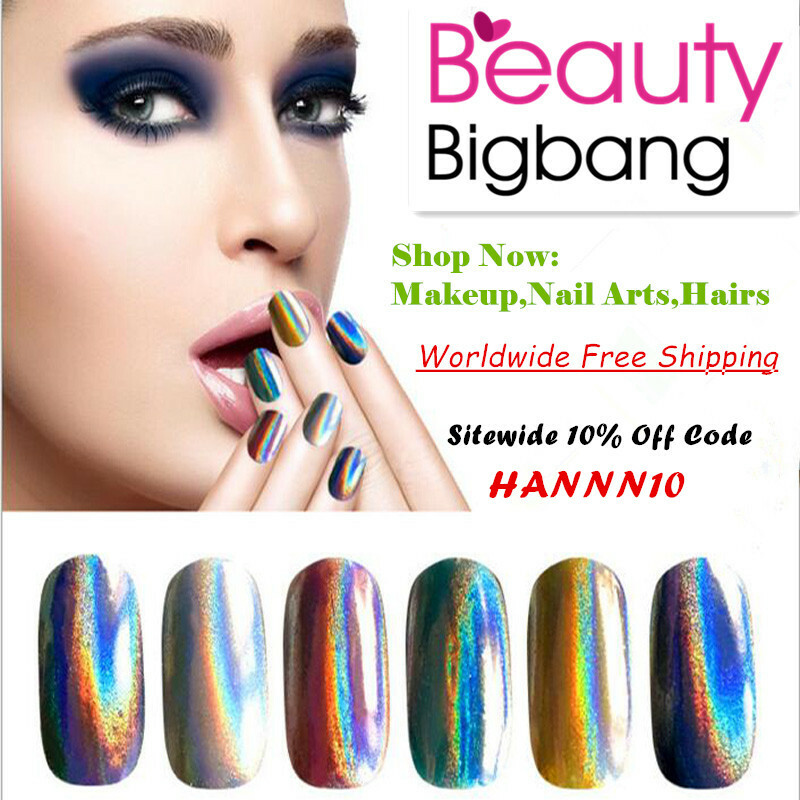 by Finger Paints, the silver details are with "Spaceshift" by New York Color and the black is "Neo Noir" by H&M. 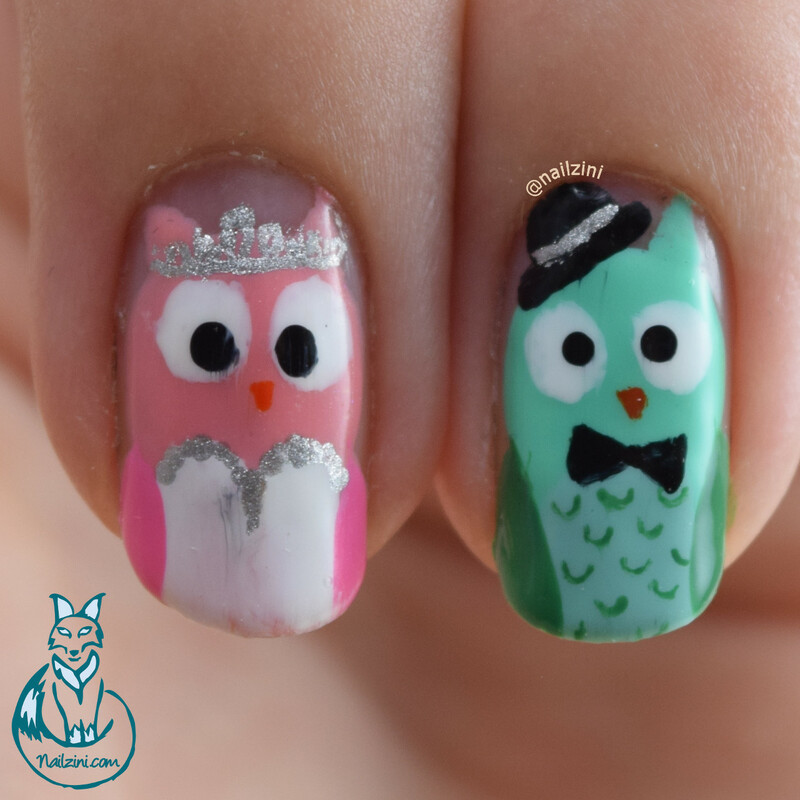 For the different owls the finger paints polishes are used for the wings, the second polish is the body and the last one is used to paint their little belly. 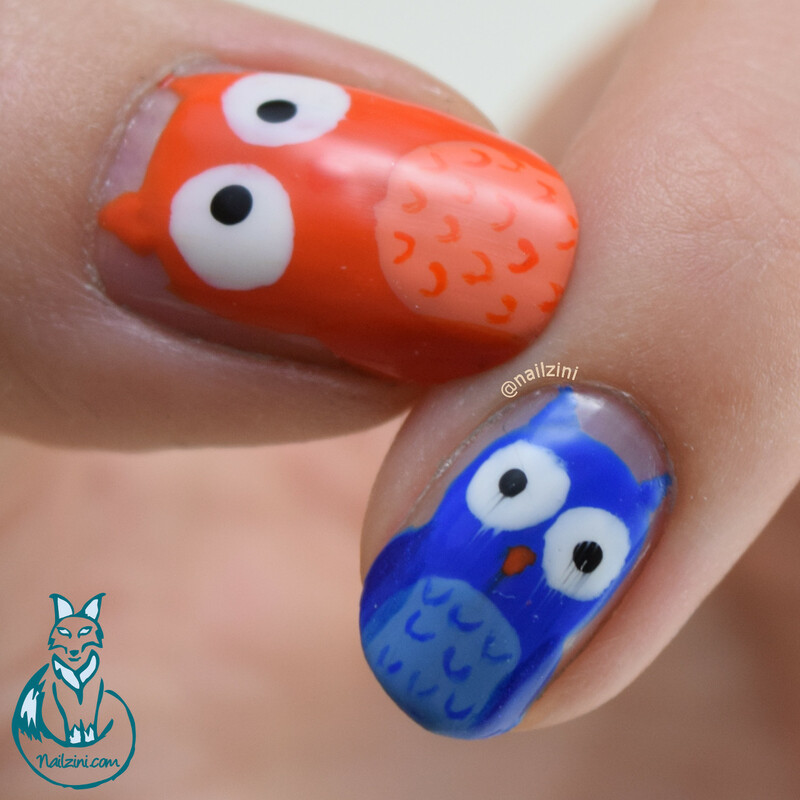 The orange owl is painted with "Caric-Art-Ure" by Finger Paints, "816" (coral) by Hema, and "Is Mai Tai Crooked?" by OPI. The blue one uses "Royal Renoir" by Finger Paints, "831 Cobalt Blue" by Kiko Milano, and "Up In the Air" by Catrice. The pink bride is with "Decoupage Pink" Finger Paints, and "Miss Piggy Reloaded" by Catrice. For the green groom I used "Ob-Scene Green" by Finger paints, "842" (light green) by Hema, "Mint Candy Apple" by Essie. Lastly the yellow owl "Master Muse" Finger Paints, "279 Yellow" Kiko Milano, and "810" (yellow) by Hema.